While working on the journal’s index this morning I noticed how many poems we have published over the years. We might go from one year to the next without any verse, but over nearly fifty years we have enough for a chapbook. Since the Blake blog is usually quiet on Fridays, I thought I could use the space to draw attention to some of these poems. I tried to think of a snappy tag, on the lines of #marginaliamonday or #woodcutwednesday on Twitter, but couldn’t come up with a poetry-related word beginning with “f” to go with “friday.” The best I’ve thought of is #versefriday, which I know could be improved upon. Any suggestions welcome. The poem I chose today is “Mrs. Blake Requests Her Portrait” by Paulette Roeske. It appeared in our spring 1991 issue (vol. 24, no. 4). In 2014 the William Blake Archive added a new wing devoted to searchable HTML and PDF editions of back issues of Blake/An Illustrated Quarterly, beginning with issues from the years 2000-2009. In 2015 we added the forty issues from 1990 to 2000 and five issues published since 2010. The Archive is now pleased to announce the publication of the quarterly’s forty issues from 1980 to 1990. These are accessible via the second entry on the home page, just below “Works in the Archive.” The HTML versions are re-implemented with several new features. Whenever possible, they replace the original monochrome halftones with full-color images—individually color corrected to Archive standards, and linked to the Archive images—and texts that have been meticulously corrected for typographical errors. The PDF versions, on the other hand, retain the original features of the quarterly, page for page. This is the latest installment of the Archive’s ongoing project of making freely available and fully searchable over four decades of the journal, thus making public some of the most important scholarly work done in Blake studies over the past half-century. Issues published within five years of the current issue will remain available only to those who subscribe to the journal. Thank you so much for continuing to be part of the Romantic Illustration Network, and for following the RIN blog. We are interested in how membership of RIN has impacted upon the work and interests of all our non-academic members: artists, illustrators, independent scholars and everyone with a general interest in visual culture and/or illustration etc. Has a post on this site generated any new ideas for you? Have you visited an exhibition advertised on the blog? Have you been inspired by something you heard about via RIN? We’d love to hear from you! Drop me a sentence or two at Mary.Shannon@roehampton.ac.uk, and I will make sure future posts contain more of the info that you find useful and exciting. We often discuss the variety of items, subjects, themes and genres that appear in the Lady’s Magazine. Each seemingly transparent topic can be found within an array of genres; for example, the topic of ‘fashion’ appears in items ranging from the moral essay and advice column to the opinion piece, historical essay and fashion report. Deciding which genre an item belongs to in the magazine is a task at times difficult to negotiate. This is in part because genres overlap and are by nature flexible; designating a particular item either a sentimental tale or a moral tale is thus not always simple or clear. Assigning works a genre requires that one privilege a particular genre over another, making decisions at once about authorial intent, editorial preference and reader perceptions. Please see below for details of ‘Music, Medicine and Emotions’, an interdisciplinary symposium taking place next month at Queen Mary. Andrea Korenjak (Austrian Academy of Sciences), Marie Louise Herzfeld-Schild (University of Cologne), Helen Stark (Queen Mary University of London) and the Centre for the History of the Emotions (Queen Mary University of London) warmly invite you to ‘Music, Medicine and Emotions’ at QMUL Mile End campus on 27 May 2016. This symposium aims to bring together researchers working at the intersection of music, medicine and emotional well-being and features papers from Thomas Dixon, Morag Grant, Penelope Gouk, Marie Louise Herzfeld-Schild, Peregrine Horden, James Kennaway, Andrea Korenjak, Una McIlvenna, Wiebke Thormahlen and David Trippett. It will conclude with a wine reception and musical workshop (details and full programme available here). Register on the QMUL E-Shop – £25 waged and £15 unwaged/students/concessions. Registration closes 22nd May 2016. When I teach the likes of Charles Dickens and Wilkie Collins to my undergraduates, I always encourage them to think about the way in which these texts were originally published: not as weighty tomes, but in serial form. 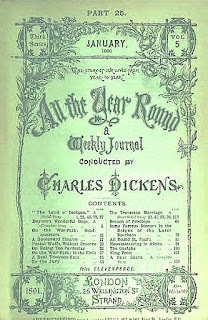 Readers of periodicals such as Master Humphrey’s Clock, Bentley’s Miscellany, Household Words, and All The Year Round would follow stories in instalments over several months, and delighted in writing to the authors to outline their hopes (and fears) for forthcoming episodes. 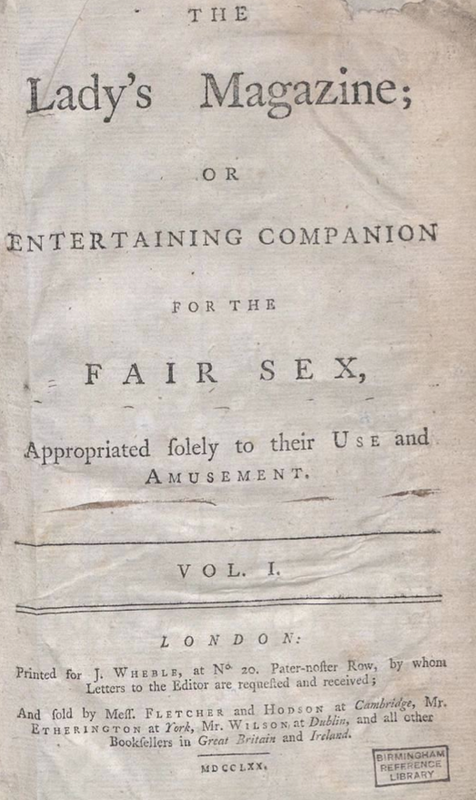 Given this publishing history, it’s rather odd that we now read these texts in single-volume form, paying little, if any, attention to the original breaks in the narrative. The same is true when we approach the numerous letters and diaries – both real and fictional – produced in the eighteenth and nineteenth centuries; we consume huge chunks at once without a second thought for their chronology in terms of composition or publication. The past few weeks have seen considerable progress in the development of our revised Four Zoas schema. As we expand our sample set of objects, we’re testing our XML structure in new situations and uncovering new complications. The good news: our approach to modeling layered revisions in the manuscript has held up well when applied to these new objects. Whenever difficulty arises, it’s the usual editorial problem of reading a messy manuscript. But the bad news: our element has struggled to keep up. To ease the encoding of these discrete textual spaces, we used the element with @type=body, @type=right, @type=left, etc. Unfortunately (and we knew this was coming), Blake’s marginal inscriptions in Four Zoas are, well, not always so marginal.